Chocolate can actually be good for your teeth. Not every kind of chocolate is a dental dynamite. Dark chocolates are healthiest option than white chocolates and milk chocolates. They are made of 70% cocoa beans which contains tannins, polyphenols , flavonoids,theobromine each of which is a strong antioxidant. ANTIOXIDANTS are group of molecules that keep your body healthy on cellular level and dark chocolate contains lot of them. Dark chocolate contains antioxidants 4 times greater than green tea. Polyphenols limits the effect of bacteria. They work to neutralize the microorganism that cause bad breath, prevent infection in your gums and battle tooth decay. Flavanoids work to slow down the progress of tooth decay. 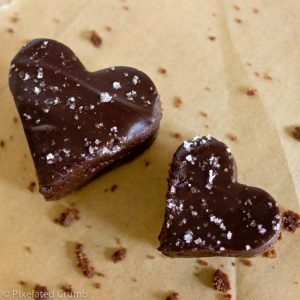 Dark chocolate is more effective at fighting decay than fluoride. 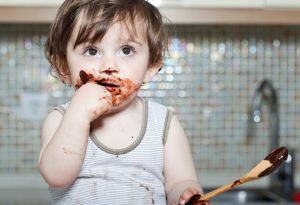 Theobromine encourages tooth remineralisation by restoring minerals helping to “repair” enamel loss and prevent cavities. 3-4 oz of chocolate a day lower your chance of getting cavities. Cocoabutter coats the surface of teeth and prevents plaque from sticking to tooth. Floss after and rinse with mouthwash to keep your smile free of left over sugars that can stick to your teeth.